Our prospective clients learn with their heads but decide with their hearts. 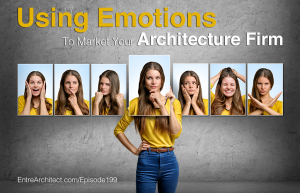 After years of research and gathering information, often, when a client chooses to work with an architect, they simply go with their feelings. 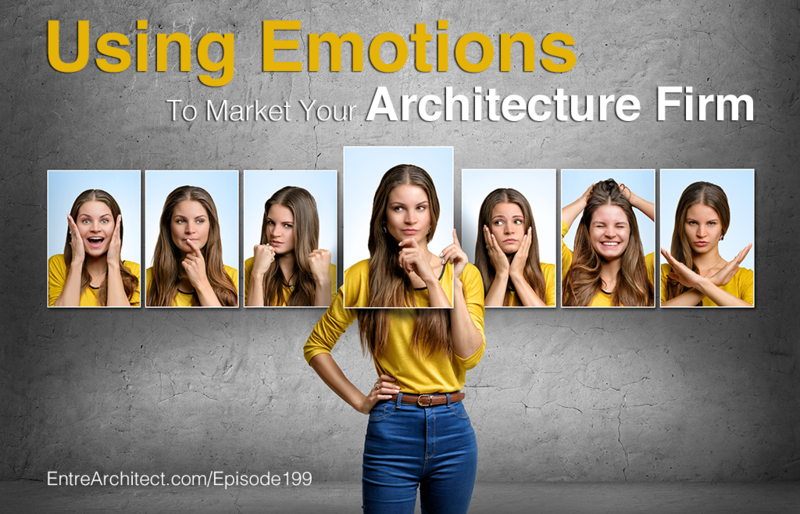 This week on EntreArchitect Podcast, Using Emotions to Market Your Architecture Firm. Have you encounter a situation where emotions take over and a decision is made with someone’s heart? You’ve probably seen it happen with yourself and your own clients. When developing a marketing strategy, stories trigger memories and feelings. Stories evoke emotions and attach memories and feelings of things you’ve experienced. Knowing who you serve matters. 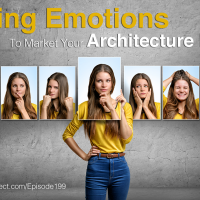 Some architects don’t want to have a target market, but without knowing who you serve you can’t figure out how to emotionally connect with them. Pick a target so that you can learn more about them and connect best with their community. Where are they? What makes them happy? What are they trying to achieve? Sensorial experiences matter. Think beyond the traditional description of your services and develop strategies and services that are experienced with every sense. Can you start using technologies like virtual reality to allow your clients to actually walk into a house or building you’ve designed? Imagine the senses they would experience. An imaginative approach matters. We use our imaginations all the time. When providing products and services in new ways using imagination, we trigger something in our clients’ minds. What if our proposals and legal agreements were beautiful, creative, and easy to read? Manage the emotional experience through your imagination. The words we use matter. They will cause our clients to feel one way or the other. Are you designing a house or creating a home? They say the same thing, but one is more functional and technical, another is filled with feeling and love. Your spoken words when you first meet a client make a unique impression. The words on your website aren’t just a portfolio, they help show who you are. I´d just like to say thank you for your work.. I just found your podcast and I listen to various episodes while I work.. Its helped me so much!! Thanks for listening Edgar. Comments like this is the motivation to keep it growing. I appreciate the encouragement!